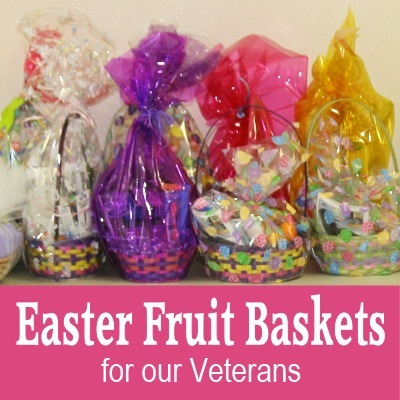 Covenant’s Deacons are preparing for their annual “Easter Baskets for Veterans” drive on Palm Sunday, March 25th. To participate simply choose a basket and fill it with fruit, useful items and/or a small gift. (See the attached file for ideas) You can use your own basket and cellophane or pick up supplies from the Deacon’s table in the Narthex/Lobby starting Sunday, March 4th. The baskets are due at the church on Palm Sunday, March 25th. Please do not bring them to the church before Palm Sunday as there is no place to store them. 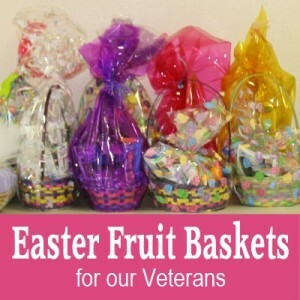 The baskets will be delivered to the Veterans Hospital Nursing Home after the 11:00 am Worship Service. Families with children and those who have served in the military are especially encouraged to help distribute baskets, but anyone can volunteer.